The 1946 Stanley Cup Final was a best-of-seven series between the Boston Bruins and the Montreal Canadiens. The Canadiens would win the series four games to one. The 1944 Stanley Cup Final was a best-of-seven series between the Chicago Black Hawks and the Montreal Canadiens. 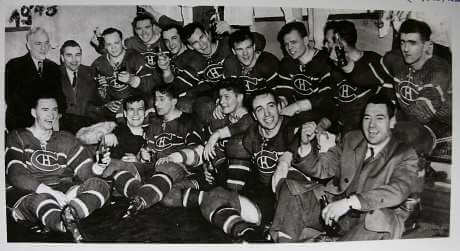 The Canadiens would win the series 4–0 to win their first Stanley Cup since 1931.